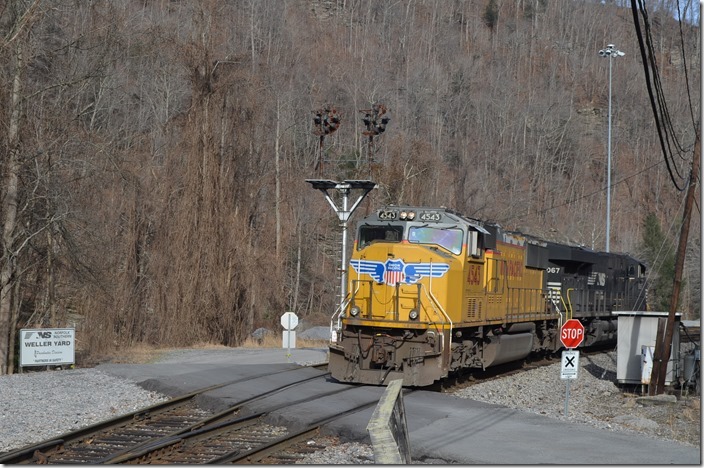 Chase and I were planning to go to the Clinch Valley or Dry Fork Districts two days after Christmas, but the presence of a KCS SD70MAC at Weller Yard changed all that. 1. 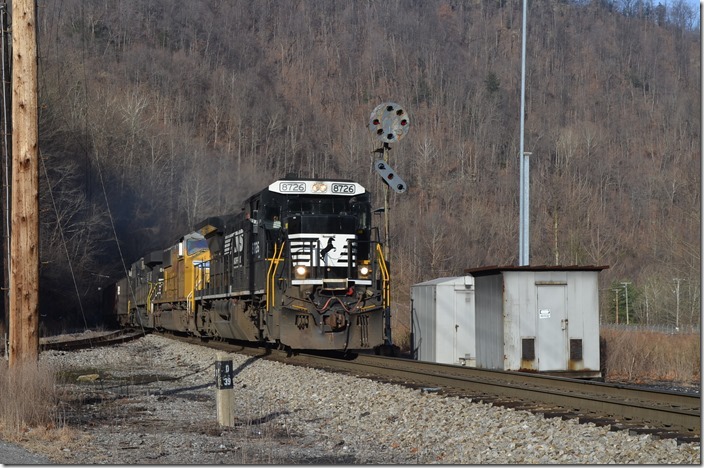 NS 8726-UP 4543-8067 with e/b shifter U71 passing Vansant with empties. Virginia Pocahontas No. 3 mines used to be on the right. 2. 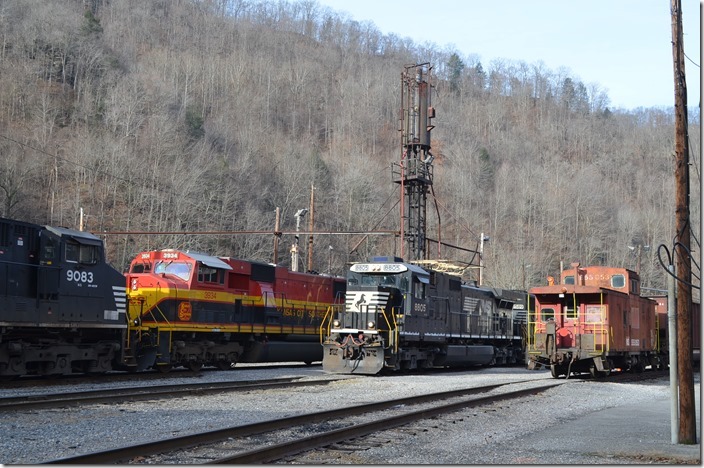 KCS SD70MAC 3934 parked among various NS units at Weller Yard. 3. UP 8375 was shut down dead with a mechanical problem It would be towed d-i-t to Williamson. 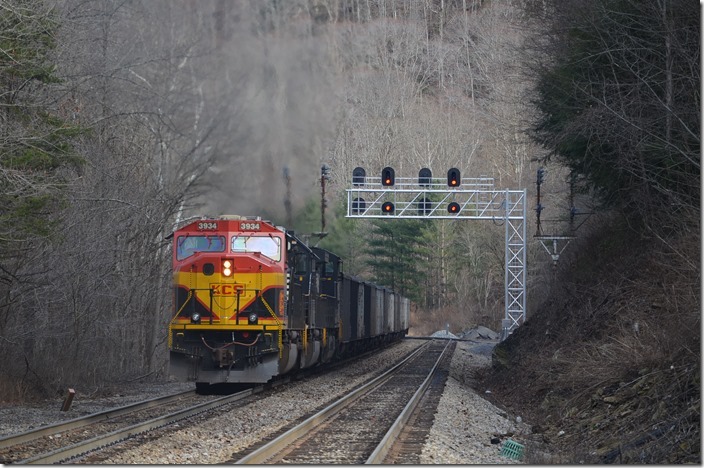 UP SD70ACe 8375 Weller. 4. U71 returns from Dismal. No. 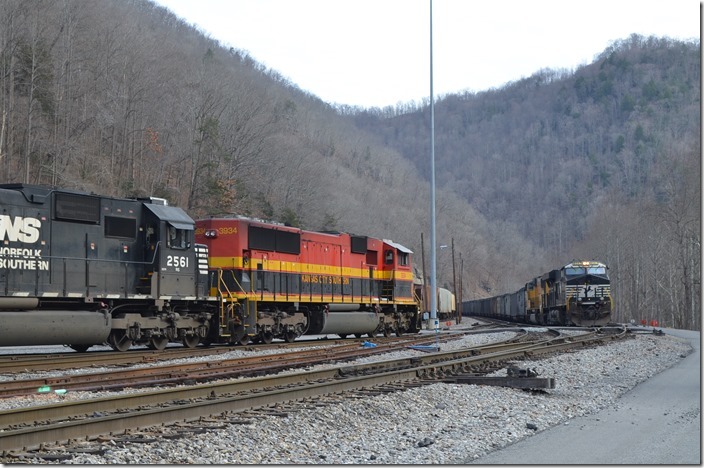 8726 was left at Dismal Yard. 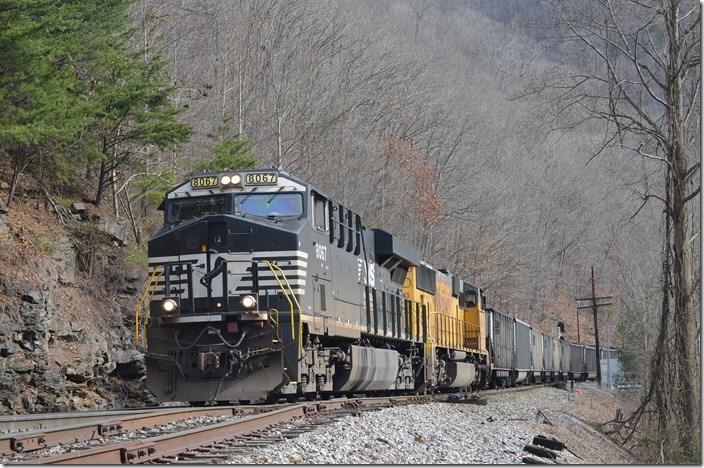 NS 8067-UP 4543 EE Weller. 5. Continuing up the main at the East End of Weller. UP 4543-NS 8067 EE Weller. 6. US 460 in the foreground. UP 4543-NS 8067 Weller. 7. U71 backs onto loads to go across the hill to Luke. Note the pre-assembled switches on the left. 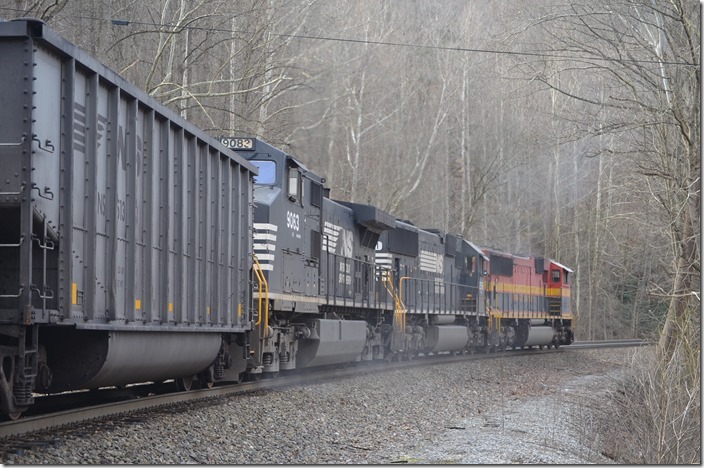 NS 8067-UP 4543 Weller. 8. 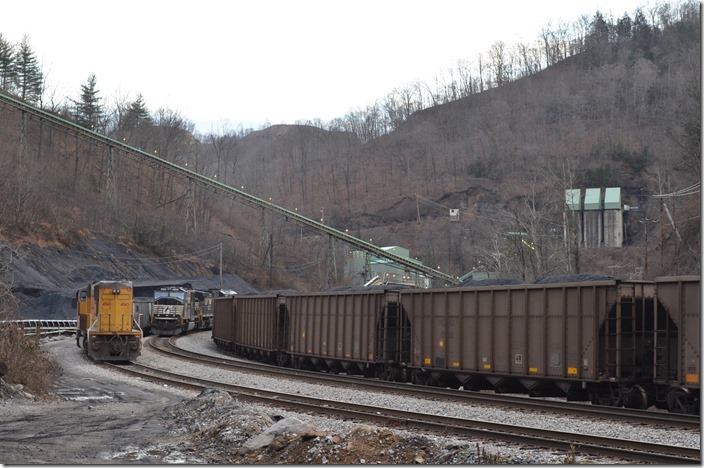 KCS 3934 is shuffled around by the Trainmaster to get on the rear of the pusher lashup. Yes! 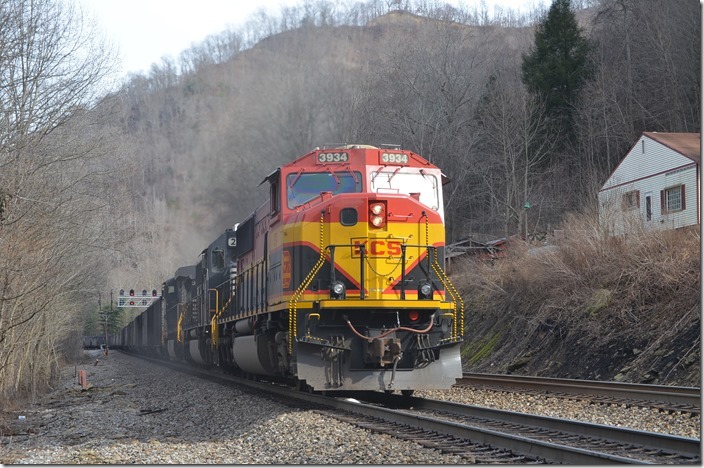 KCS SD70MAC 3934 Weller. 9. 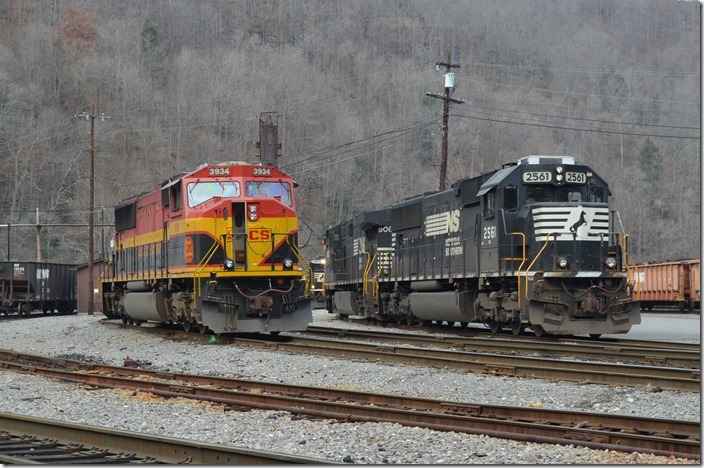 NS 2561 KCS 3934 Weller 1230 View 2. 10. I like the “Southern Belle” paint scheme. 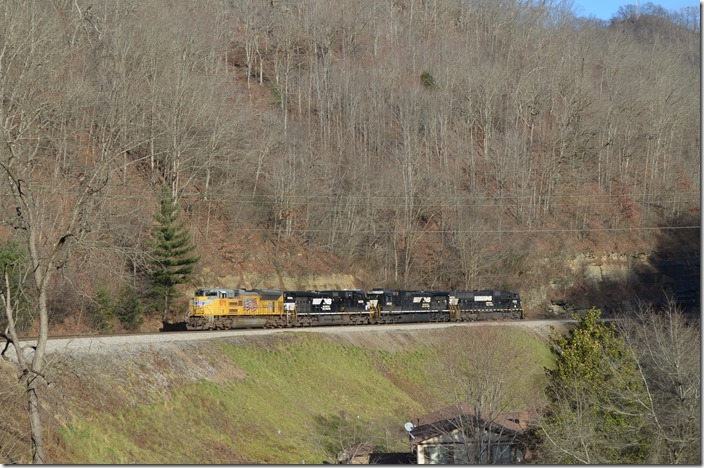 KCS SD70MAC 3934 Weller 1242 View 3. 11. 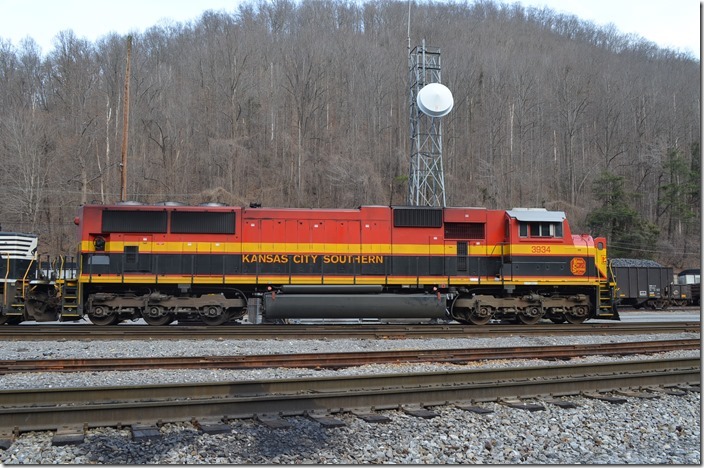 KCS 3934 NS 8067 Weller. 12. 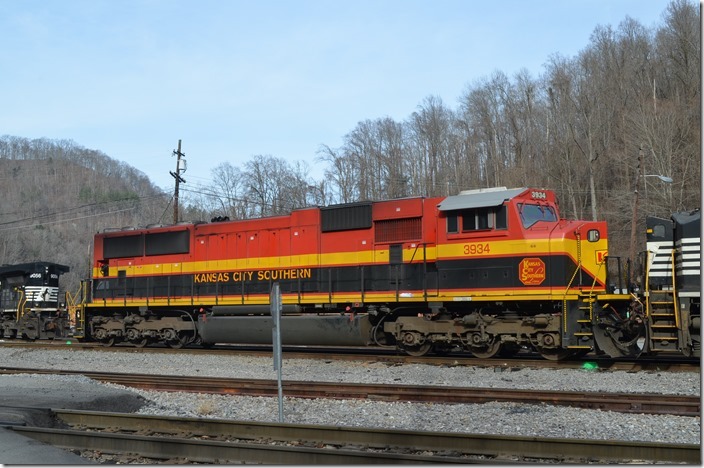 KCS 3934 with NS 2561-9083 is now the J85 pusher. They will couple to the rear of U71. KCS 3934 EE Weller. 13. 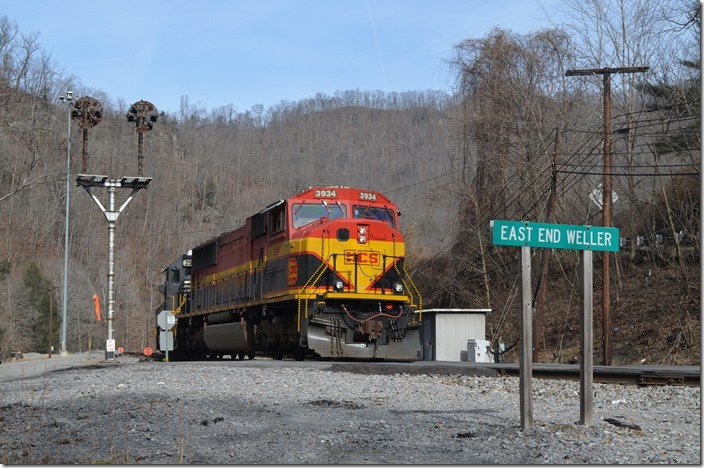 U71 passes the west end of Weller Yard. Long ago the yard office was located near this spot. 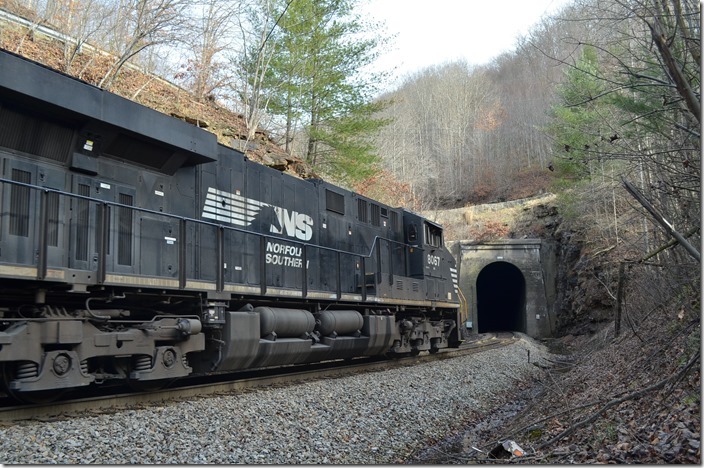 NS 8067-UP 4543 WE Weller. 14. 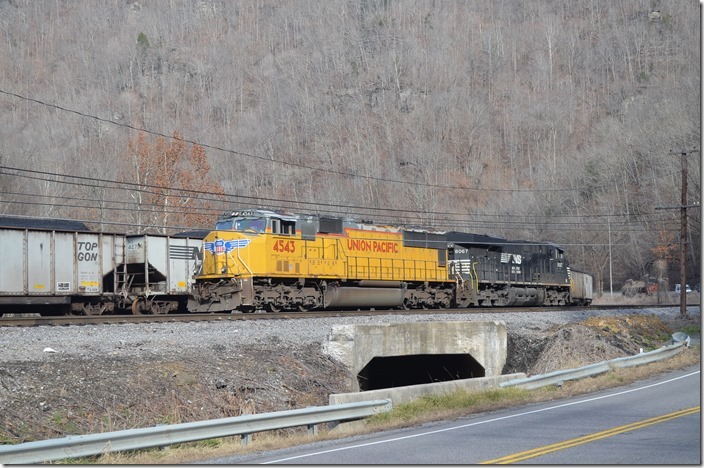 NS 8067-UP 4543 WE Weller. View 2. 15. Pushing hard at Lynn Camp on 105 loaded hoppers. 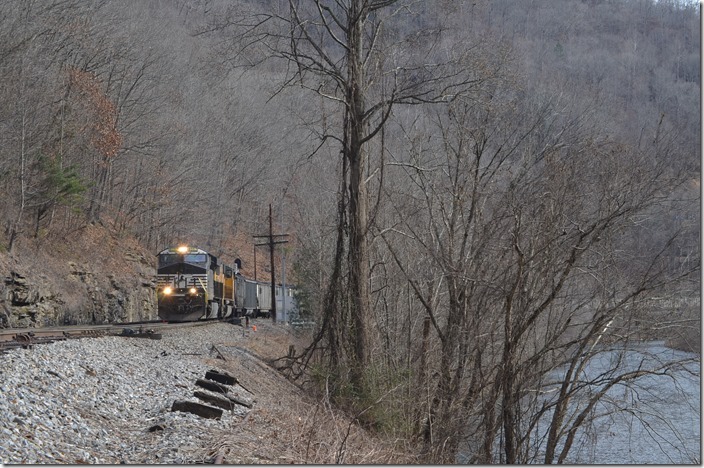 NS 9083-2561-KCS 3934 Lynn Camp. 16. KCS 3934-2561-9083 Lynn Camp. 17. Note the old bracket signal on the right of the track. KCS 3934-2561-9083 Lynn Camp. 18. 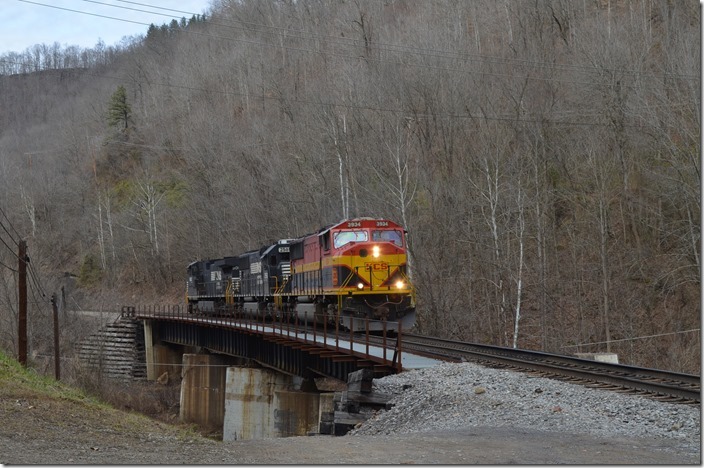 Coming off double track and topping the grade at “Home Creek.” NS 8067-UP 4543 Home Creek. 19. Entering Raitt Tunnel. 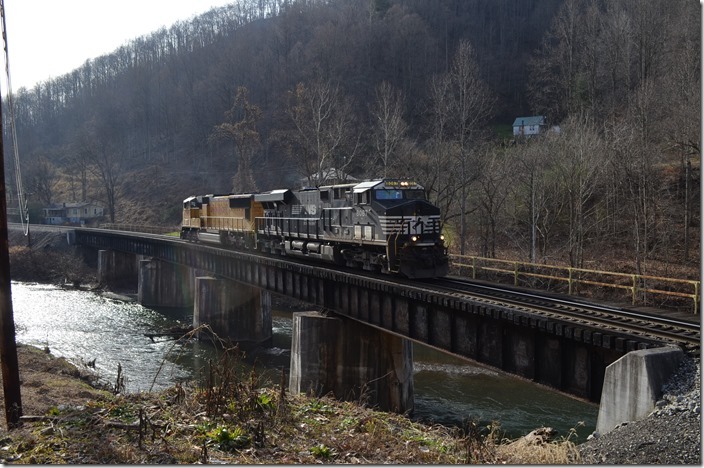 NS 8067 Home Creek. 20. 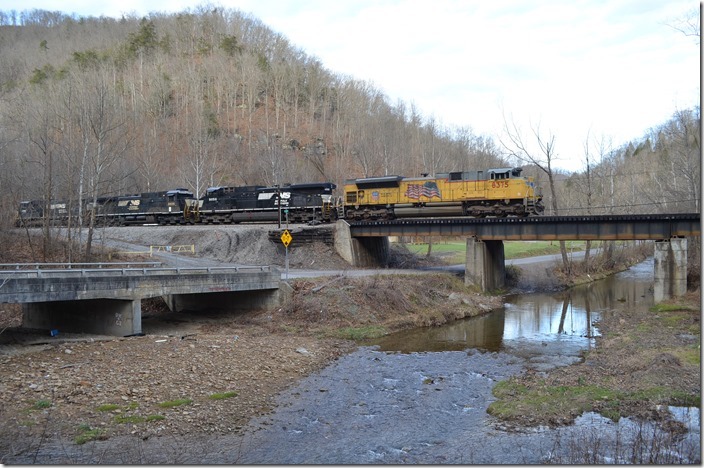 KCS 3934 Home Creek. 21. Bottom of the steep grade at “Lester Fork” near Hurley. 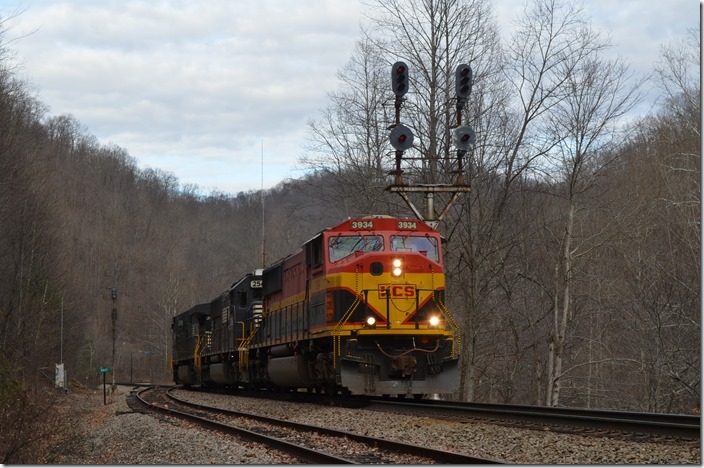 KCS 3934-2561-9083 Lester Fork. 22. 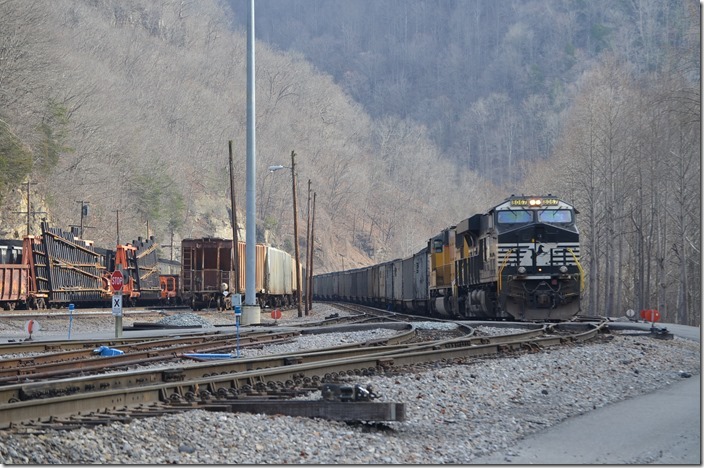 Former N&W SD40 1644 on work train parked in the old Race Fork Coal siding at Lester Fork. 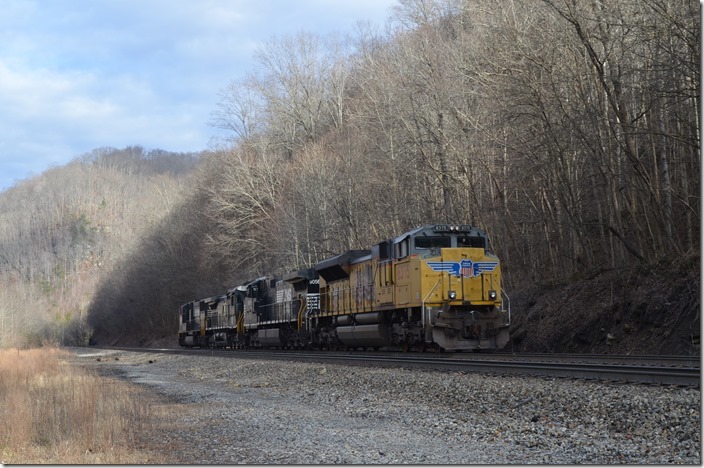 NS 1644 Lester Fork. 23. Clear signal for J85 to return to Weller at Hurley. 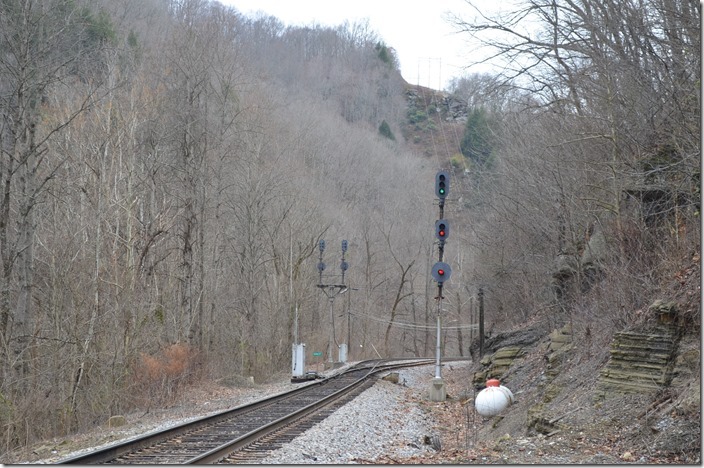 NS signal Hurley. 26. J85 eastbound at the west end of “Raitt” siding. 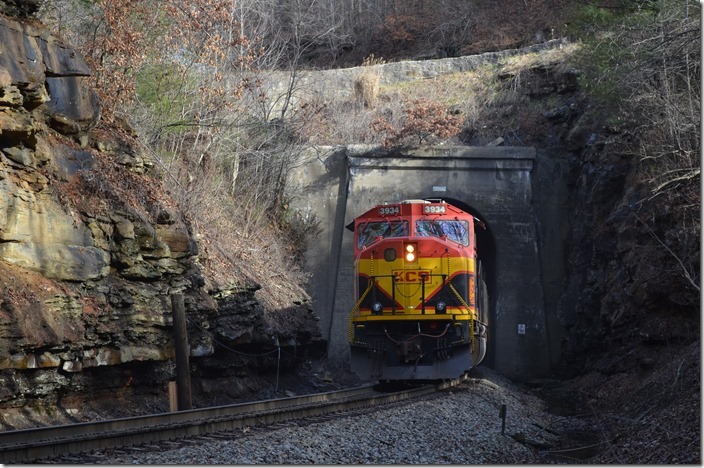 The east end near the tunnel is severed. KCS 3934-2561-9083 Raitt. 27. U72 with 2589-8805-9506 and dead UP 8375 w/b at Belibe. 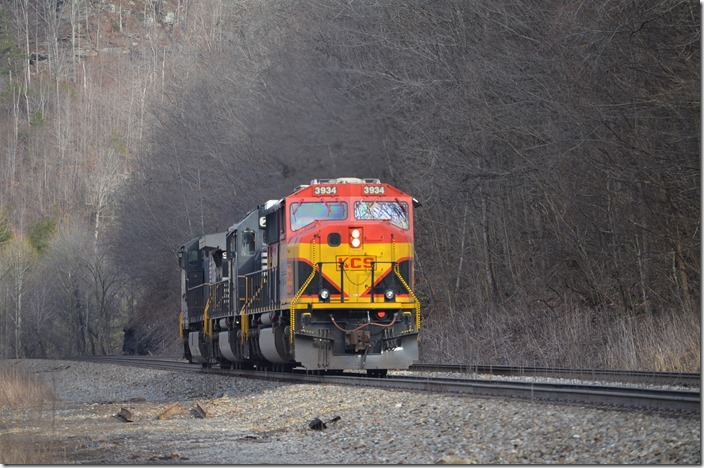 NS 2589-8805-9056-UP 8375 Belibe. 28. J85 passed U72 on double track. KCS 3934 Belibe. 29. 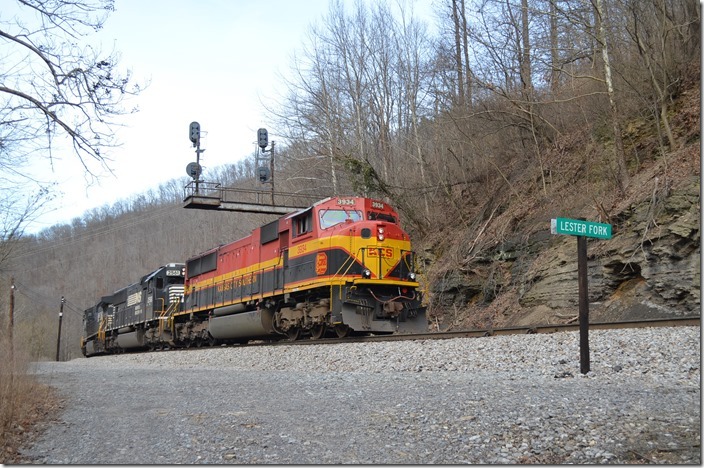 U72 drops down Lester Fork grade toward Hurley. 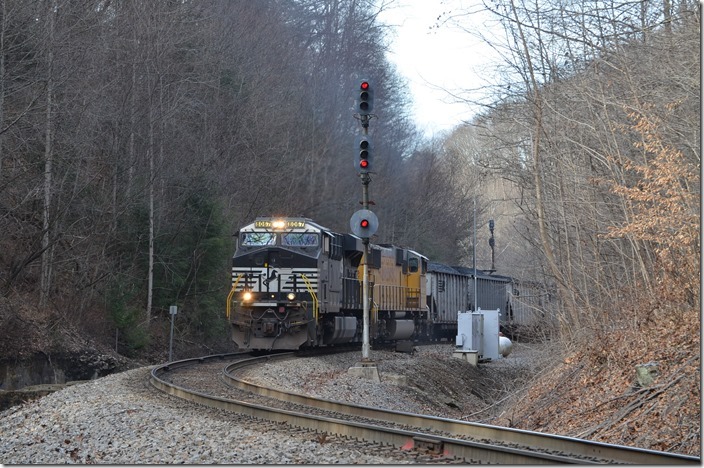 NS 2589-8805-9056-UP 8375 Hurley. 30. U72 arrives at Luke and will proceed to assemble a train for the main line. That highway goes over to Panther on the Pokey main. 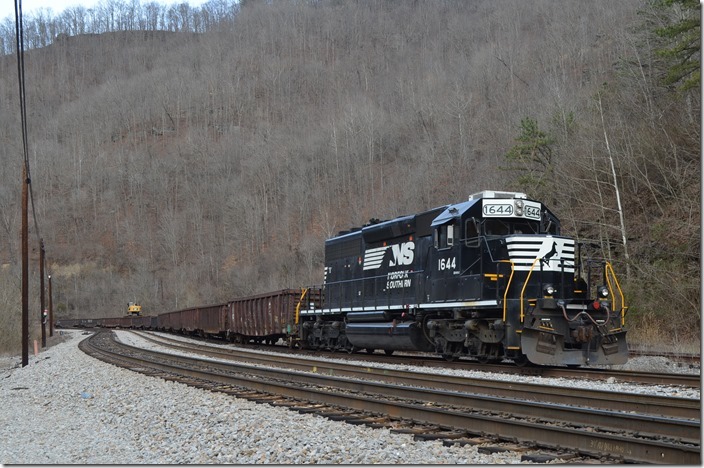 NS 2589-8805-9056-UP 8375 Luke. 31. 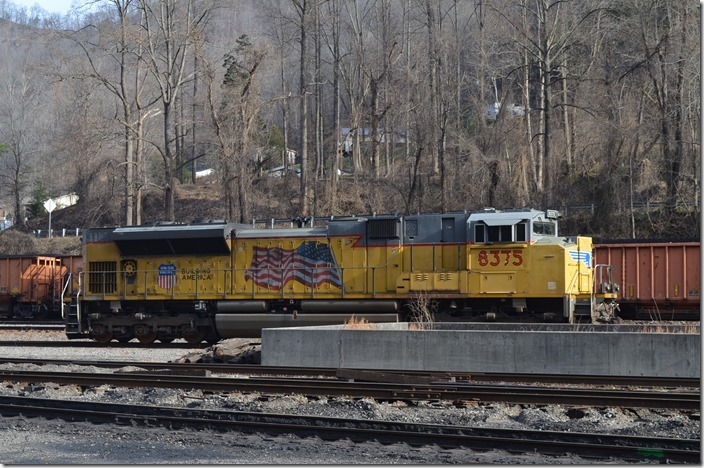 U72 will pick up the UP 4543 that was left in Race Fork siding by U71. Chase chatted with the crew, and then we headed for home. I’m not sure if they were going to pick up the PGNX train that had been loaded several days before. 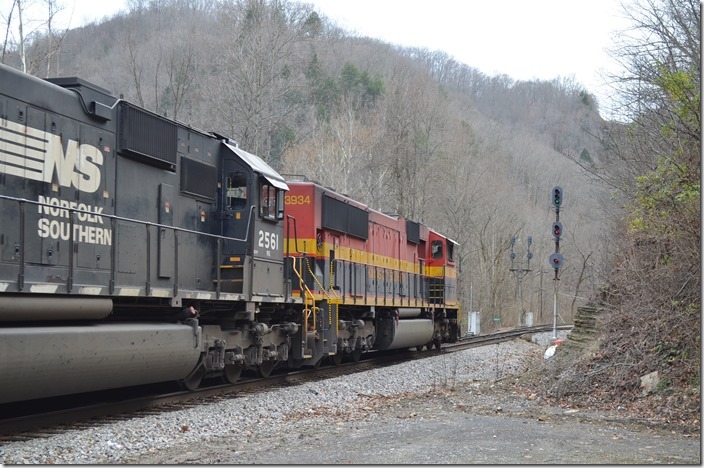 NS 2589 UP 4543 Race Fork.